It’s been quite some time since I’ve done one of my Random Research blogs. Let’s bring that back, shall we? He was simply the greatest psychic of all time. He was also the first – before him, the word ‘psychic’ did not even exist. 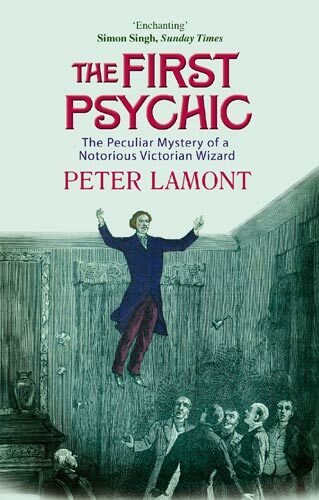 The feats he performed were so extraordinary that Victorian scientists had to invent the term in order to explain them. The man who became the world’s first psychic was Daniel Dunglas Home. Now almost entirely forgotten, Home was a household name in Victorian Britain, a man of inexplicable ability who divided opinion wherever he went. Hated by Dickens and defended by Thackeray, denounced by Faraday yet mysterious to Darwin, insulted by Tolstoy but patronised by the Emperor of France and the Csar of Russia. The astonishing feats he performed, and the bizarre personal life that attracted so much controversy, are little known today outside the esoteric world of psychical research. He rarely appears in the biographies of the many great Victorians who knew him as few could openly admit to such a controversial acquaintance. This book will finally introduce one of the most remarkable and enigmatic figures in history, and the strange and seemingly inexplicable events that occurred in his presence. Reading this book, it is incredible that Home isn’t better remembered today. John Anderson, The Wizard of the North and Home’s rival, is better known. Born in Scotland, near Edinburgh, he immigrated with his family to the US at a young age. He suffered from poor health. Throughout his childhood, strange events followed him–he predicted several deaths and recounted strange visions that proved to be true. He eventually decided he simply must inform the world about Spiritualism, and traveled the world, offering seances and hoping for patronage. He became most well-known for his extraordinary levitations. Scandal also followed him. A wealthy widow “adopted” him and gave him large amounts of money, who later recanted and claimed Home had tricked her under spritualistic distress and sued him. He married a young daughter of Russian royalty and Alexander Dumas was his best man. By all accounts, he loved her deeply, but she died of tuberculosis. He later married an older, wealthy Russian. Home was a study in contradictions. He claimed to be fervently devoted to his cause. Most knew him as earnest and mild-mannered. Yet at the same time, what he did was most likely all trickery, meaning that his very personality might also have been a ruse. Did he manipulate most of those around him, or was he actually who he claimed to be? But if he was a fraud–he was never caught, despite how often people tried to expose him. A very interesting and recommended read.